Here we have #42 of the original Mattel Cars 2 series from a couple years back...Prince Wheeliam! 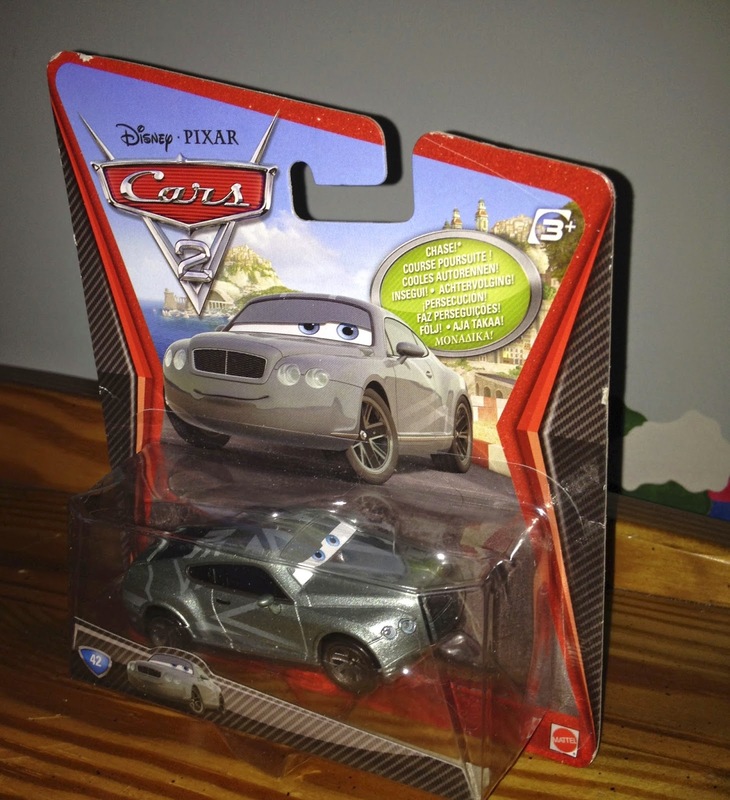 This character was a "Chase" edition car, meaning a very limited quantity were actually distributed. As usual, this is a 1:55 scale diecast. 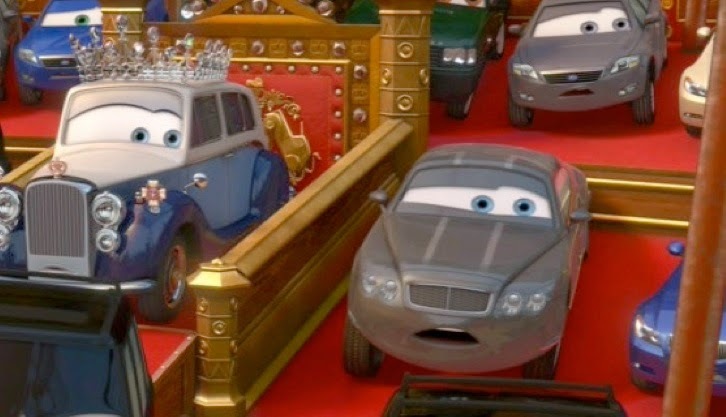 In the film, Prince Wheeliam, based on the real life Prince William, is seen attending the final race of of the WGP in London outside of Buckingham Palace. He is of course next to his grandmother "The Queen", based on the real life Queen Elizabeth II (screen shot above). Be sure to visit eBay or Amazon if you're still trying to tack this one down! Best of luck on the hunt.